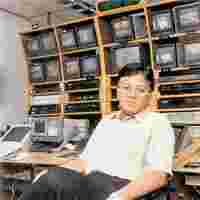 No dilution: Sun TV promoter Kalanthi Maran’s holdings are intact. 2 min read . Updated: 12 Sep 2007, 01:04 AM IST John Samuel Raja D.
According to Indian law, if the promoter holding in a publicly listed company crosses 90%, the company has to issue fresh shares or be delisted from the exchanges. If the promoters of Gemini TV and Udaya TV had been treated as “promoters" by Sun TV, the promoter’s stake in Sun TV would have gone up 93%. Currently, the promoter stake, the company says, stands at 80% due to the reclassification. The move will enable Sun TV to stay listed without issuing new shares valued approximately at Rs403 crore or 3% of the share capital and keep the holdings of Kalanithi Maran, the promoter, unchanged. Those classified earlier as “promoter" but now counted as “non-promoters" include Shanmugasundaram Selvam, Maran’s uncle, and Selvam Selvi, the daughter of Tamil Nadu chief minister M. Karunanidhi, who together held a 33% stake in Udaya TV. Sun TV said it had clarified the issue with stock market regulator Securities and Exchange Board of India (Sebi) and the main stock exchanges where it is listed. Sun TV has quoted clause 6.8.3.2 of Sebi (Disclosure and Investor Protection) Guidelines, 2000, to reclassify certain promoters as “public’’. However, there is no explicit statement under this five-page clause allowing a company to reclassify certain promoters as non-promoters. It wasn’t immediately clear how valid the reclassification is. “It is an interpretation of law. There is no specific opinion on the classification of promoters. We have taken a legal opinion which said we can re-classify promoters of acquired companies as non-promoters," said a spokesperson for Sun TV. Shares of Sun TV closed at ₹ 329.95 a piece on Tuesday. The 12 reclassified as public are the promoters of Udaya TV and Gemini TV, where Kalanithi Maran, chairman and managing director of Sun TV, had 50% or more shares. In Udaya, Maran had two-thirds of shareholding and the Selvam family (Shanmugasundaram Selvam and Selvam Selvi) held the rest. In Gemini, Maran and the Prasad family held 50% stake each. After the merger, the Selvam and Prasad families held 13.03% in the combined entity, and Maran 79.97%. Now, with the company deciding to consider the 12 erstwhile promoters as public, the promoter shareholding has dropped to 79.97%. “Our legal experts discussed with the stock exchanges and Sebi, and have been advised that promoters of Udaya and Gemini TV need not be classified as promoters", said the Sun TV official. However, at the time of announcing the merger, S. Natrajan, vice-president, finance, had said: “How and when it would dilute the stake are decisions it would take after the merger is approved by the high court". Enam Financial Consultants Pvt. Ltd. and DSP Merrill Lynch Ltd acted as advisers to the merger. Further, the company had said in March: “…under the continuous listing guidelines, the board of directors of Sun TV Ltd shall take necessary steps to bring to the minimum required limit of public shareholding as may be applicable to this company within six months from the effective date through offer for sale/issue of fresh shares or combination of both either through Public Issue, Rights Issue, Private Placements etc".